Vy joined our crew in 2016. As a designer, Vy spends her days turning project ideas into perfected pixels alongside her fellow KPS3ers. When she’s not behind a glowing screen in our offices, though, you can find her behind the lens, taking random photos around town of anything and everything that gives her pause. Vy studied AAS graphic communications at Truckee Meadows Community College from 2010-2013 while she simultaneously working on campus as a computer lab assistant. She then accepted a position with Renown Health in the web-marketing department before making the transition to the Arch of Reno Wedding Chapel, where she captured newlyweds’ magical moments as a wedding photographer. 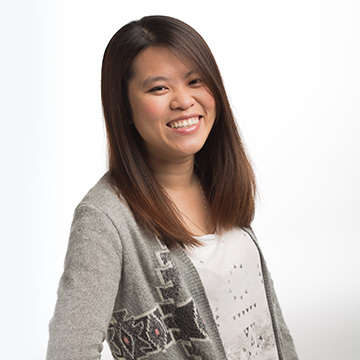 In 2013, Vy made the move to Sportif USA as a web and graphic designer, where she designed and managed the front-end for three consumer sites and built email campaigns, website ads, and social media ads on behalf of the company. A lover of knowledge, Vy spends her spare time researching her craft and browsing developers’ and entrepreneurs’ blogs in order to keep her design eye as sharp as ever. As a result, her impressive design work earned her two local and two regional ADDY awards in just one year. When she’s not behind a screen or a lens, she’s likely doing chores around her house while watching YouTube videos (talk about multitasking). Fluent in four languages—English, Cantonese, Mandarin and Vietnamese— her name is pronounced Vee (just in case you were wondering).